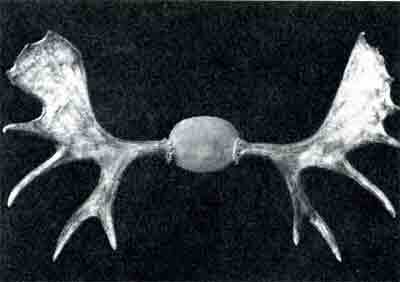 Of all the living members of the deer family, moose have the greatest amount of antler material. 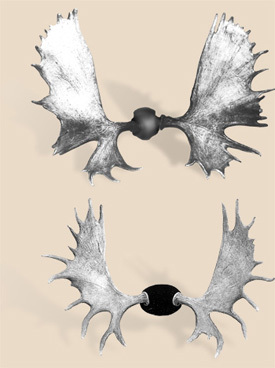 They also show great variation in size, with the smallest racks coming from Colorado, Idaho, Montana, Utah, Washington, and Wyoming, and the largest from Alaska, Yukon, and the Northwest Territories. 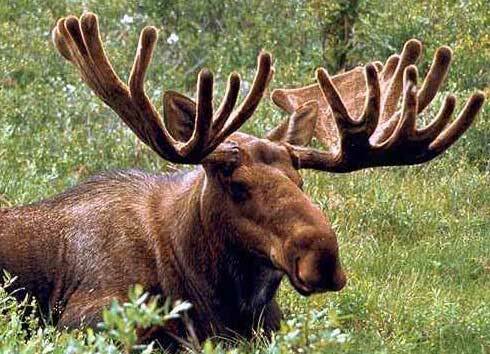 A records book sized Shiras moose would not be even a desirable trophy in Alaska. 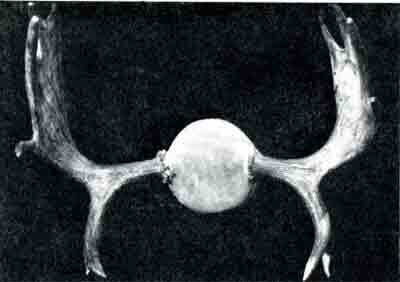 Although the widest spread antlers are sought in all categories for the records, strong development of antler palmation in both length and width is even more desirable. 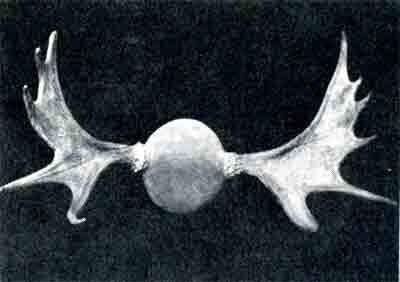 Many Shiras moose show only a single spike brow point on each antler, rather than a well-developed brow palm. This is undesirable since the length-of-palm is measured to a notch between brow points. 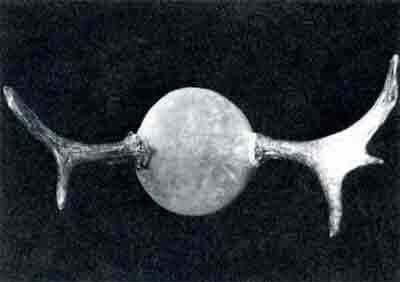 The single spike brow dictates that the length of palm measurement must be ended at the edge of the main palm, obviously losing some potential that would have been fulfilled if the brow were palmate or even forked. 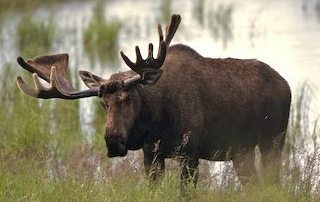 High-scoring Canada or Alaska-Yukon moose have three or more brow points, on broad, well-developed brow palms that increase the length-of-palm measurement. 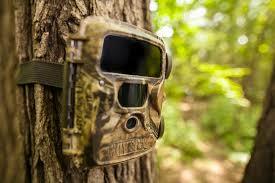 This feature, along with broad main palms, markedly improves the score potential. 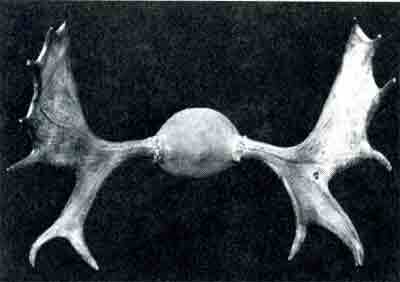 Although an Alaska-Yukon moose may have 15 or more points on each antler, not all projections count as points, especially if they are blunt in shape. 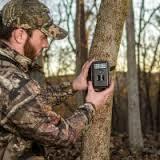 One cannot accurately count the antler points on most trophy moose when the animal is in the field, so evaluation must generally be made on the basis of the amount of palm material present and the greatest spread. 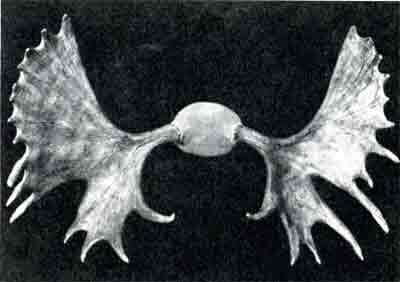 Big trophy moose of all three classes tend to have the main palms lying flat to produce a wide spread, whereas smaller antlers are more apt to show cup-shaped palms and a narrow spread. 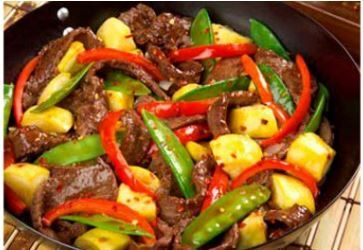 The ear tips of a mature bull when laid flat are roughly 30 inches wide, with ears themselves being 9 – 10 inches. 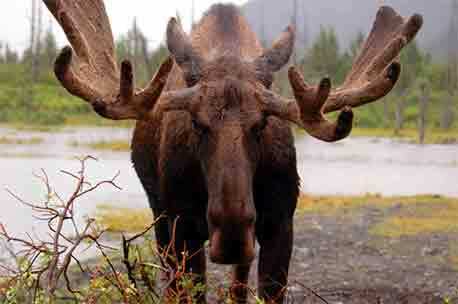 A bull with an extra ear length on either side would, then be approximately a bull with a 50 inch spread. 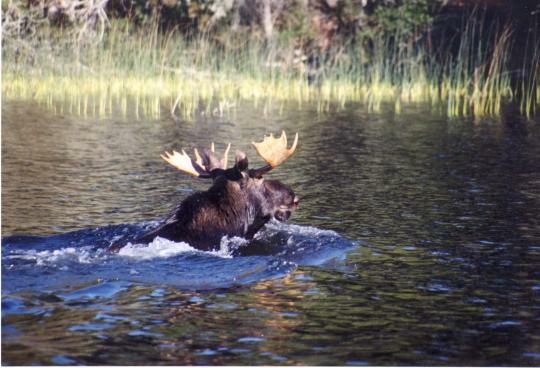 Even though moose can often be studied carefully in the field, and an experienced guide may make reasonable estimate of the greatest spread, it is very difficult to estimate the scores accurately at a distance. This is because the length, width, and symmetry of the palms are all hard to judge when seen from the side. 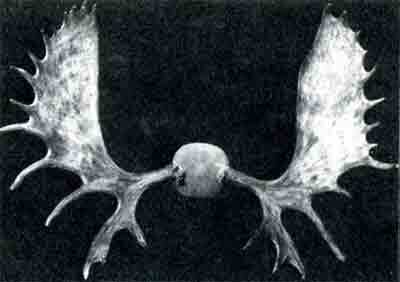 A frontal view, with the animal’s head down and antlers nearly vertical, gives a much better chance for accurate evaluation, but may not be available under field conditions. 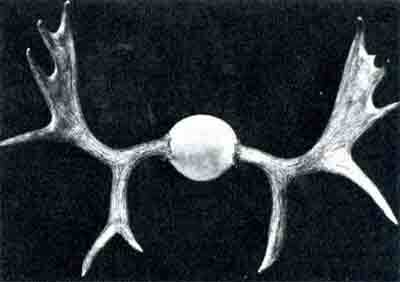 Typically, younger bulls will feature long and disguisable points, but with narrower spreads and shorter palms. 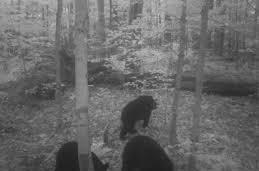 As bulls age they tend to add in number of points that will be shorter and less recognizable having given way to wider and taller palms. As a rule, palm width and length pile up B&C points.